The government-appointed Committee of Experts (CoE) on "Enhancing Combat Capability and Rebalancing Defence Expenditure of the Armed Forces", headed by Lt Gen D B Shekatkar, had submitted its report to the Defence Minister on December 21, 2016. Of the 188 Committee recommendations 65 were approved that mainly pertained to the Army and involve redeploying some 57,000 personnel. As per reports, these reforms, termed Phase 1, are to be completed by end 2019. Significantly, the Committee had stated that if all 188 recommendations are effected within five years, it would result in saving 25,000 cr that could be utilized for modernizing the Armed Forces. Interestingly, MoD sent only 99 of the 188 recommendations to the Armed Forces for making the implementation plan, of which 65 sent to the Army have been approved, while balance 34 are to be taken up in Phase 2. It is unclear how many, if not all, of the 89 recommendations not sent to the Armed Forces are being shelved. The 'approved' reforms included performance audit of non-combat organizations under MoD and making organizations like Defence Estates, Defence Accounts, DGQA, Ordnance Factory Board (OFB), DRDO accountable, which are mere euphuisms because these organizations are directly under the MoD. Had the MoD responsibly done their audit, which is its inherent responsibility, for one the DRDO would have been held accountable and we would have not been importing defence equipment past decades. 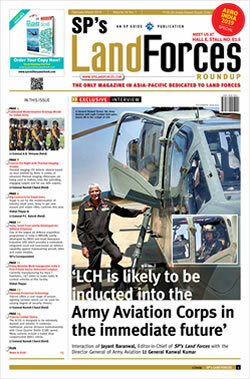 What has been approved suits the bureaucracy perfectly, including the redeployment of civilian-defence officers. The government despite being in-charge since May 2014 has not even commenced the process to define a national security strategy since that will make the bureaucracy accountable. The vital requirement of appointing a Chief of Defence Staff has been given the short shrift. Significantly, of the 57,000 personnel being redeployed, 31,000 are civilian-defence officials, while there was scope of phasing out some of the the latter after attaining normal retirement, or better still combatize them. The approved reforms included 'restructuring of repair echelons in the Army to include Base Workshops, Advance Base Workshops and Static/Station Workshops in the field Army'. Media now reports that MoD has decided to allow private firms to manage and operate all the Army Base Workshops (ABWs) in eight cities across six states, including in Delhi, Kolkata, Pune and Bengaluru, and also their associated station workshops. The scheme is being termed GOCO (Government Owned, Contractor Managed) model. As per media, the government directive to the Integrated HQ of MoD (Army) includes explanation of the concept in saying, "The government will provide land, infrastructure, plant and machinery, equipment system support, oversight... The contractor operates and utilizes the facilities available, manages all types of work and is also responsible to get required licenses, certifications and accreditations to deliver mutually agreed targets and maintains the plant machinery and services integral to the venture." The orders for implementing GOCO were reportedly issued by MoD on September 7, 2017. The workshops have been instructed to prepare costing model to benchmark lowest bidders. These ABWs and station workshops have some 12,000 workers. The eight ABWs include the 515 ABW in Bengaluru, which is the only ABW manufacturing spares and indigenizing equipment. What is not mentioned in the media is that of these some 12,000 workers, the uniformed element is not more than 15% - about 1800 personnel, who being skilled will probably be eased out on completing their service tenure. Once GOCO is affected, the MoD will take over the control, rendering these organizations in the same pathetic state as the ordnance factories, forcing the Army to take their products at thrice the price, as is happening with products through the OFB. Part of the 31,000 civilians with MoD will take control of these workshops. The only loser will be the Army - and a big one at that. 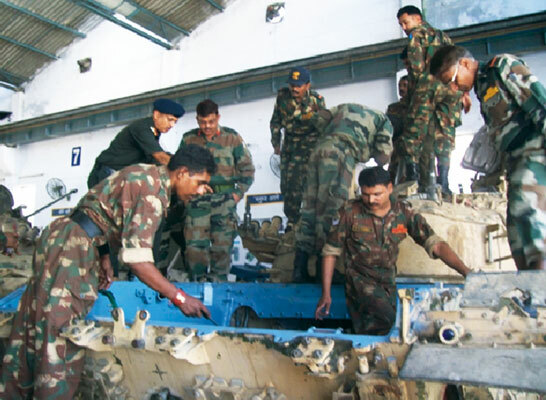 With respect to optimization, restructuring and redeployment of repair echelons in Army, the recommendations of the CoE was for reducing the various categories of tradesmen, substituting them with availability of civilians in the area performing such functions, not complete outsourcing and placing these organizations under control of the MoD. This has been a slick undercover move by the bureaucracy right from the time the CoE was appointed, ignoring a recent study done with the same aim that was offered to MoD. Not many would know that at one time the Ordnance Factories too were under the Army, till they were quietly eased out and placed under the MoD for obvious money making. Ironically, the same is being done with Army's repair echelons, at great disadvantage to the Army. Army should be prepared for similar blows to their ordnance echelons, supply and transport echelons, animal transport units and the like.